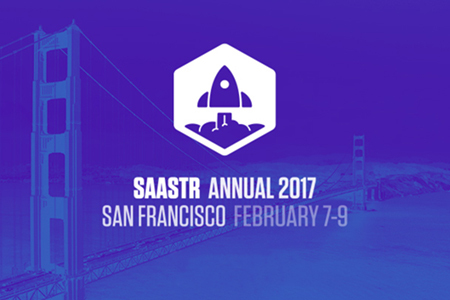 Last month we attended the SaaStr Annual meeting. The three-day conference, now in its third year, featured more than 150 speakers spread across multiple stages, and close to 10,000 attendees. SaaStr definitely drew the elite when it comes to speakers. Some were high profile—Twilio, Veeva, Slack, Evernote, Oracle, Gainsight. Others were less known, but equally fascinating as they talked about their journeys as SaaS up-and-comers. 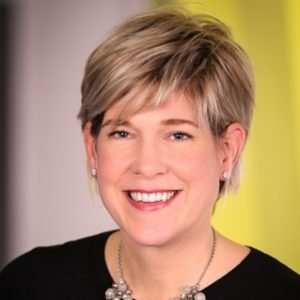 In addition, there were a variety of sessions from venture capitalists such as David Skok, and SaaS authorities, including one of my personal favorites, Anand Sanwal of CB Insights. Sanwal definitely delivered. As the Co-Founder and CEO of data powerhouse CBInsights, he’s an expert when it comes to telling stories with data. But he also knows a little something about building a SaaS startup—including raising venture capital. His presentation at SaaStr, focused on 68 things SaaS companies should avoid—experience he claims to have gained by making many of these 68 mistakes himself. It’s worth your time to check out the whole presentation, trust me. As Sanwal points out, revenue is often the best funding for a SaaS startup. If your revenue is strong, why be in such a hurry to give up big chunks of your company, just so you can say you are venture-backed? There are worse things than remaining lean and mean while you grow, and it’s a myth that lean startups who rely heavily on their own revenue can’t grow to be giants. And if you do need extra capital to grow faster, debt-based options can provide it without forcing you to give up equity in the process. Unfortunately, a lot of venture debt providers are still reluctant to underwrite a loan for companies who don’t already have support from venture capital investors, which can make it hard to avoid VC, even if you’d rather go the debt-based route. That’s one of the key reasons we don’t require VC sponsorship at RSC. None of this is meant to imply that venture capital is the enemy—far from it. Equity-based investment is an important tool for growth. It’s just not the only tool. What I like most about Sanwal’s presentation—and his overall approach to growth—is that it simply asks you to consider why you need an equity-based investment, as well as when you’ll need it, before you dive in headfirst. This question of “when” to raise VC is something we discuss with SaaS companies all the time at RSC. Our debt-based solutions can work absent of, or alongside venture capital investment, so we don’t need to push one way or the other. However, we do encourage SaaS companies to be conscious of how the timing of a fundraising round might affect their valuation and how much equity they will ultimately have to give up. Often, these companies find that they can use a combination of their own revenue and debt-based capital to hold off a little longer, or meet a few more milestones before bringing in venture capital, so that they can fundraise from a position of greater strength and get more in return for their valuable equity. Did we miss you at SaaStr? Why not drop us a line and let us know your favorite takeaways? In the meantime, visit our funding page to learn more about how River SaaS Capital provides capital for SaaS entrepreneurs, or fill out our short online application to get a conversation started.